The new year is upon us. It has been 17 years into the 21st century and if one word has to define this period, ‘innovation’ is bound to reign supreme. Technological innovation in every field has taken place at such a rapid pace over the last two decades that most of it is taken as given. It is hard to imagine that a world obsessed with acronyms like AI, VR, and EV was still very much dependent on the post office barely 17 years ago. It is unfathomable and potentially scary from some aspects as to what the coming future holds for mankind. With the world innovating at breakneck speeds, no country wants to be left behind the curve. China is the latest kid in the block. It is no longer the low-labour-cost country that makes it the manufacturing powerhouse of the world. Now, the country’s manufacturing strengths lie in its strong supply chain networks and advanced production knowhow. In fact, in its 13 Five Year Plan that began in May 2016, China laid out a plan to become an “innovative nation” by 2020 and an “international innovation leader” by 2030. Even before these goals were set, the country had doubled its spending on R&D between 2000 and 2016 from 0.9 percent of its GDP to 2.1 percent. It is no surprise then that the greater Shenzhen-Hong Kong area finds itself ranked second in terms of global inventive clusters as measured by patents. It is clearly time for India to adopt innovation as a paradigm and a long-term principle to be competitive on the world stage. Like China, it is critical that India works upon building an enabling conducive environment for innovation to take place. This includes, but is not limited to, access to technology required for scaling, availability of funding, leadership and skill, and also a market for the same. 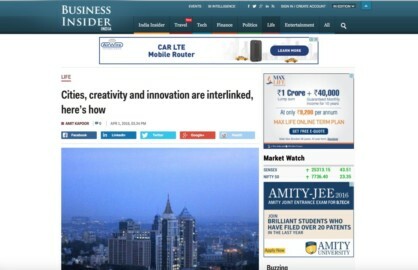 As a matter of fact, despite certain challenges, India has not done badly when it comes to innovation. As per the Global Innovation Index, India has shown consistent improvement since 2011 and its performance has been ahead of the average lower-middle- and upper-middle-income countries of the world. However, the India State Innovation Report 2017 has brought out some interesting highlights on the state of innovation in India. 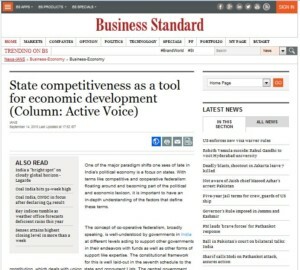 First, on a national scale India lags considerably behind the major economies of the world. As of 2015, India spent 0.88 percent of its GDP on R&D while Brazil, USA and Japan spent 1.2, 2.8 and 3.4 percent respectively. As for patents, India had filed 17 per million people while Brazil, China, USA and Japan were at 34, 541, 910 and 3716 respectively. Finally, the India’s share of global publications stood at 4.2 percent while that of China and USA were at 20.2 and 25.3 respectively. Therefore, there remains a vast gap India to cover if it to catch up with the global economies in the field of innovation. It is not a preposterous argument to make that the economy which stays ahead in the race for innovation will dictate global dominance. As things have panned out over the last year, USA seems to have been ceding that ground to China. Denying realities like climate change to support industries of yesteryear like coal and closing doors on the very people who built the country seem inimical to the innovative spirit that has come to define America. 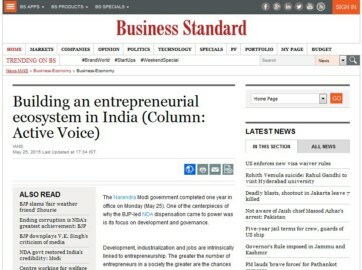 A huge vacuum will probably be left behind, and India needs to grasp the opportunity while the time is ripe. Second, coming to the sub-national level, India shows a very mixed performance. Delhi, Tamil Nadu and Maharashtra were the most innovative states in 2017. A three-way categorisation was also done based on Porter’s classification for developmental stages of economies. Delhi, Karnataka and Uttar Pradesh turned out to be the leading states in their respective stages. 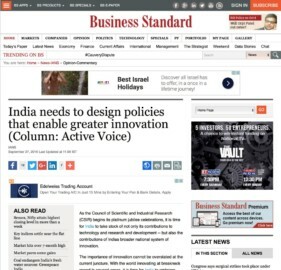 A striking feature of the state performance on innovation is that there is a clear demarcation running across India where the western and southern belt of states score considerable better than the rest of the country. This belt of states also performs economically well than the rest of India, but per capita income explains only 60 percent of the innovation scores. Higher industry presence and better prevalence of institutes of higher education along with improving linkages between the two has a substantial impact making the environment conducive for innovation across these states. However, there are a multitude of challenges faced even by these states in undertaking innovation. The first and most basic one is that the university system in India lacks focus on research and innovation. Inadequate funding dedicated to education does not help in building adequate facilities for research either. Second, the patenting process is quite cumbersome in India and significant amount of resources need to be devoted towards it, something which the industry typically lacks. 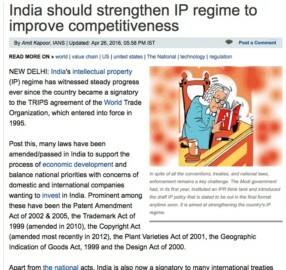 Finally, India lacks stringent regulations and IP laws, which hinder any innovative activities. 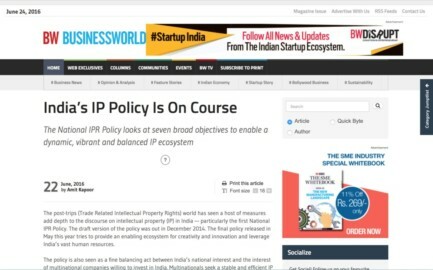 It is a telling fact that in the International IP Index released by the US Chamber of Commerce, which ranks 45 economies based on patents, trademarks, copyrights, enforcement and international treaties, India ranks 43. 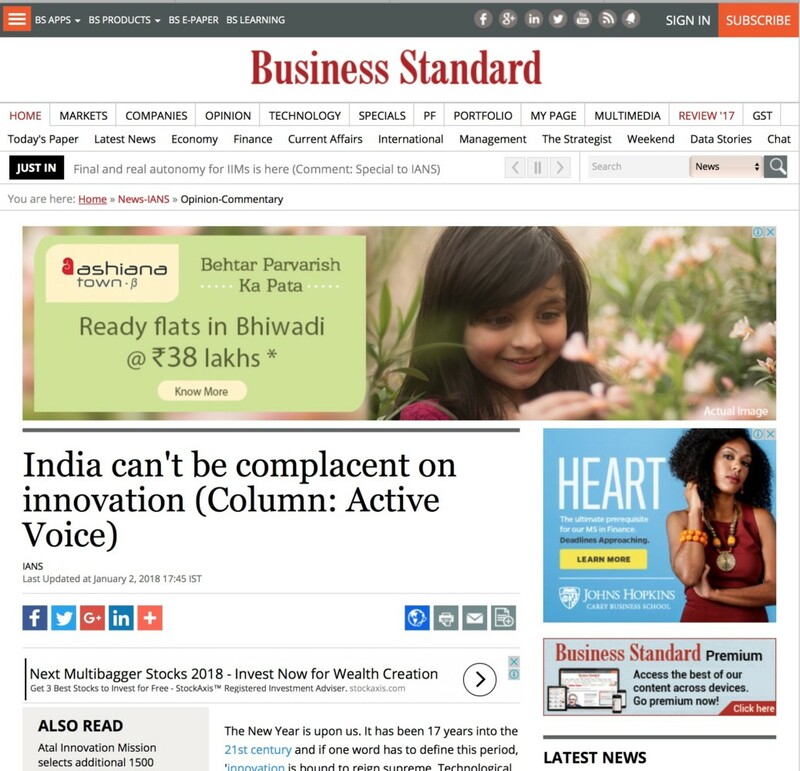 There is simply no time for complacency for India when it comes to matters of innovation. The country has a perfect opportunity to get onboard the innovation train that is swiftly chugging away beyond its reach. Almost 15 percent of the start-ups in Silicon Valley have been founded by Indians. We clearly have the capability to do the same in India. Only the enabling factors are lacking. 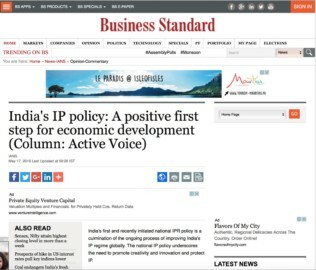 The article was published with Business Standard & Money Life on January 2, 2018.